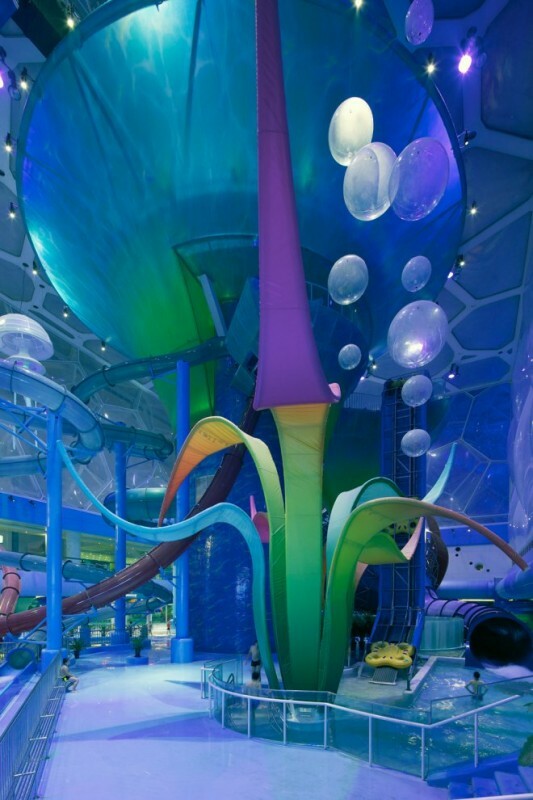 © courtesy of Forrec Ltd.
After Olympics in Beijing in 2008, landmarks like Bird's Nest, The Water Cube and others became not so popular places with unused space. 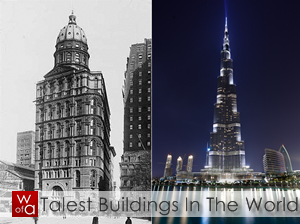 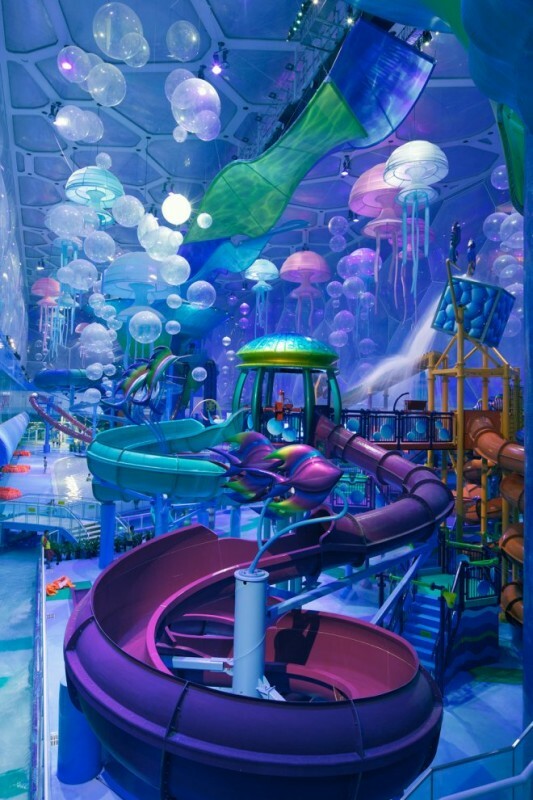 Then they came to an idea of building a water park and use already built buildings. 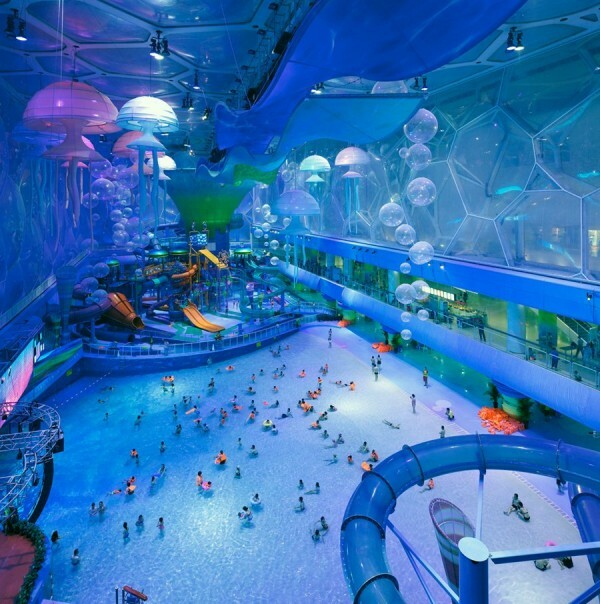 Happy Magic Water Cube Theme Waterpark became second most popular destination in Beijing. 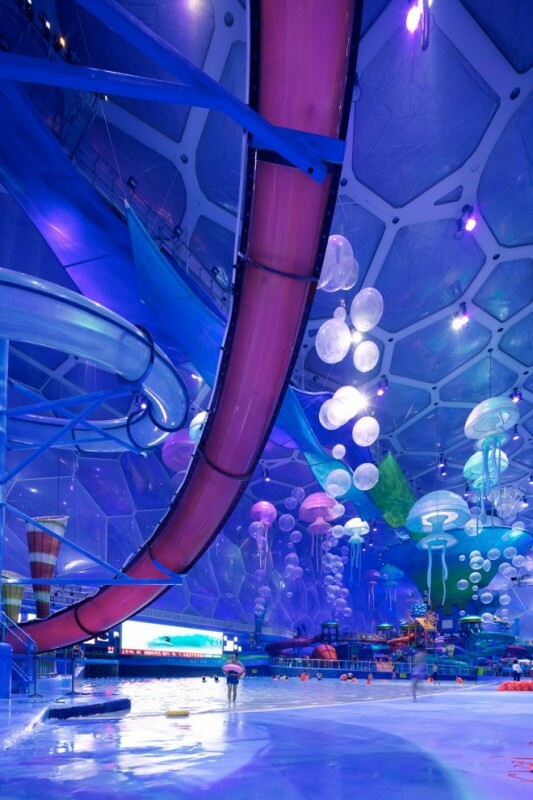 One of the famous buildings, The Water Cube was transformed into underwater world. 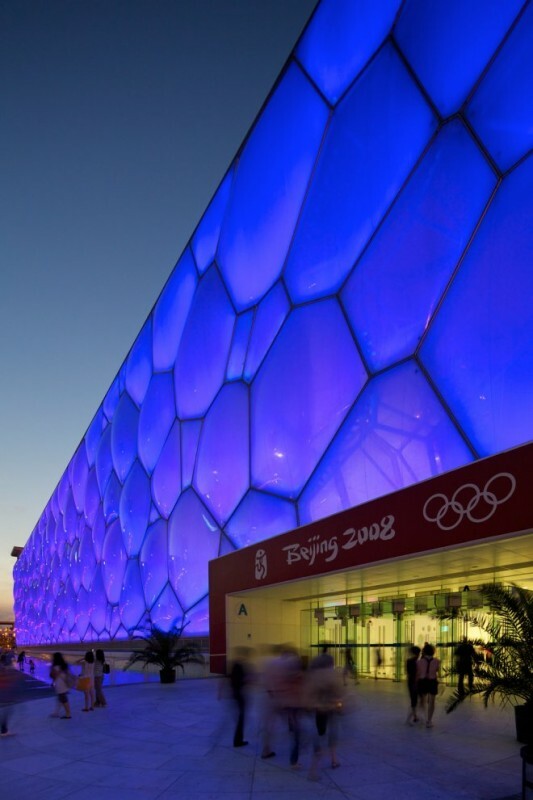 Famous blue facade, ETFE membrane was perfect for this idea, providing plenty of daylight by day, and turning the perfect shade of ocean blue at night.